This is an original Tamiya M1A1 pre-"mine plow" and add-ons, with only the Tamiya Loader's ring being added from PE. Most of the stowage items are form the Tamiya set, with the helmet bag, water bottle and the heavy Kevlar vest being scratch made. 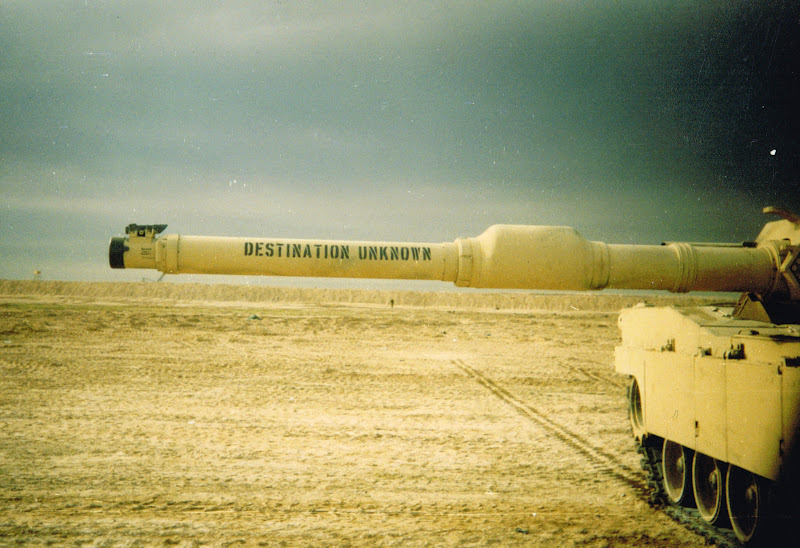 This is a model of the actual tank I served on in Desert Storm, D31 “Destination Unknown”, 4/8 Cav, 3rd Armored Div. Nice work! looks fantastic, and thank you for your services! Damon - nice job. Also, Thank You for your Service. Thank you Tom for getting this up, nice surprise to wake up to. Here are a few actual photos from the real deal to compare with. Hope everyone had a Happy Christmas and wishing all of you a very Happy and prosperous New Year. Cheers. Nicely done! I like the irregular texture. Do you remember what caused all those stains on the front of the hull? yes, fuel spills and lots of dust. The HMMT guys loved to adjust the pressure just as you started to pump the gas. Tons of fun those guys. . . .
Wow. 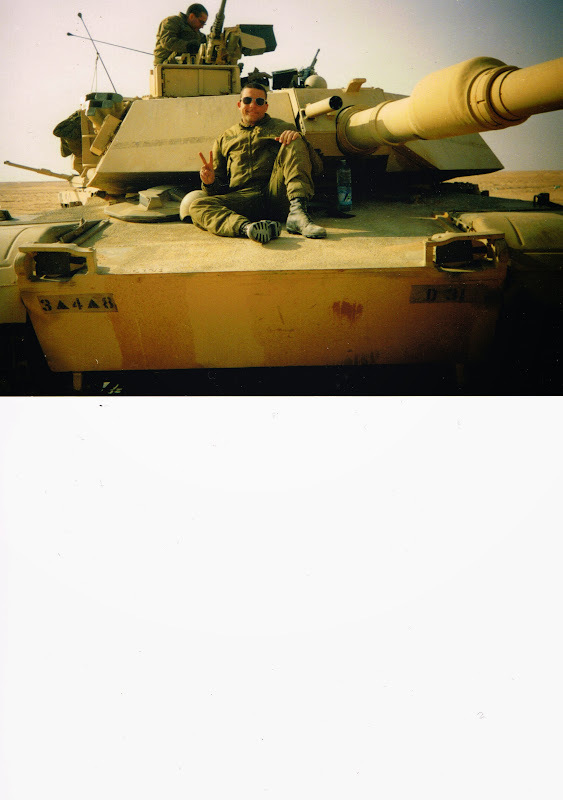 We got our @sses reamed for spilling a few drops in Iraq. They used to spray diesel to keep the dust down.